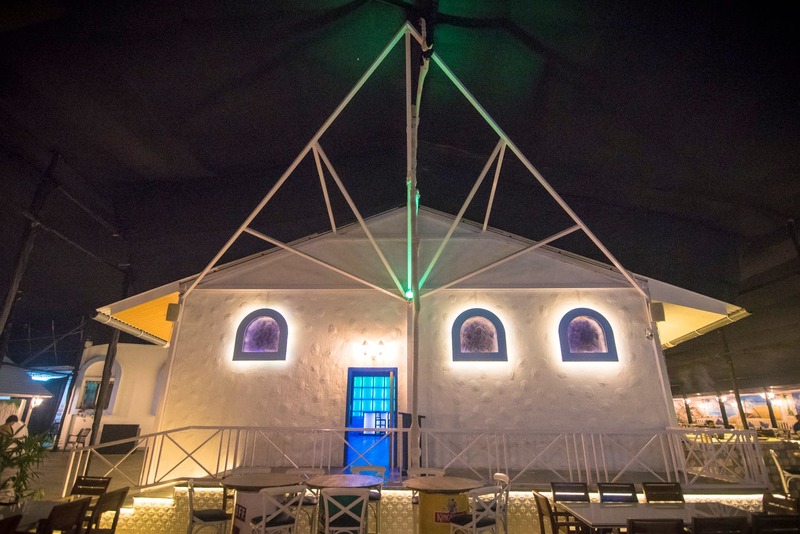 Azzurro is a new Greek-themed bar and lounge located near the Balewadi Stadium, in Baner. Azzurro has a huge outdoor bar and dining section (with a mini-stage), as well as a spacious indoor lounge (with its own bar) and dance floor. Their white-and-blue decor and wall mural are reminiscent of Greece, while the indoor lounge is a bit more contemporary. The food menu here features the usual Continental-Chinese-Indian fare, which is quite surprising considering the decor screams 'Greek'. The menu is diverse and extensive, with soups, starters, appetizers, pizza, pasta, sizzlers, main course, a couple of Goan curries, biryani, and of course - dessert. That being said, we've heard good things about the food and drinks at Azzurro. We also appreciate that there are different sections for those who want to dine and those who want to dance. Azzurro is open in the evenings, until late night (2.00am) - and both their food and drinks are quite reasonably priced - so keep that in mind when making your plans! We wish that there was a cohesiveness between the decor and the menu, but as long as the quality of the food served is consistently good, we're not complaining.